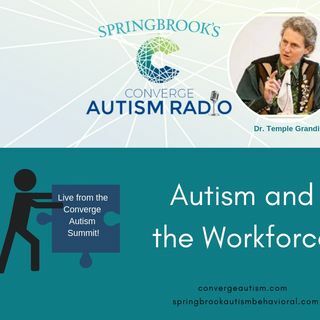 Dr. Temple Grandin, Author, Speaker, and Professor of Animal Science was the keynote speaker at Springbrook's Converge Autism Summit held in March of 2019. Dr. Grandin stopped by the media room to chat with Kristin Walker again and it was such a pleasure. She wanted to talk about the behavior of herd animals and also about Autism in the workplace. Find out more about her work at www.templegrandin.com.